Looking for a quality AM/FM Stereo, CD or DVD player for your Boat, Bus, Truck, Caravan or Motorhome, then you have come to the right place, we have the Best Brands at the Best Prices such as Majestic, RV Media and Fusion. We carry a variety of RV and Marine waterproof AM/FM CD, DVD Stereos for various applications. So if you are looking for CD or DVD Stereo for your Bus, Truck, Caravan or Boat, check out what we have to offer. If you can’t find what you are looking for, let our sales team know, they will be more than happy to help you out. Stereos There are no products in this category. Looking for Fusion Marine Accesores for your Boat, Caravan or Motorhome, then you have come to the right place, we have the Best Brands at the Best Prices. We carry the full range of Fusion Marine Accessories, from the Unidock, IPdock, NRX200i, BT100, BT200 Bluetooth, Remotes, Remote Controls, Cables, Connectors, Extensions and flush mounts. So when it comes to Fusion Electronics Accessories for Marine or Boat stereos we have what you are looking with all the Fusion accessories to make your installation easy for your Boat, Bus, Truck, Caravan or RV, check out what we have to offer. If you can’t find what you are looking for, let our sales team know, they will be more than happy to help you out. Looking for an AM/FM Stereo with CD and DVD Player for your Truck, Bus Caravan or Motorhome, then you have come to the right place, we have the Best Brands at the Best Prices. We carry Majestic, RV Media and Fusion head units. 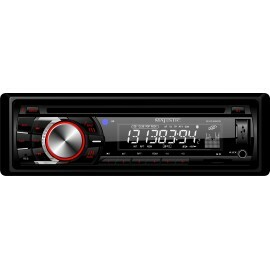 We have the complete range of AM/FM stereos, CD and DVD players for all your entertainment needs. So when it comes to electronics for RV or Boat stereos we have what you are looking for, for your Bus, Truck, Caravan or RV, check out what we have to offer. If you can’t find what you are looking for, let our sales team know, they will be more than happy to help you out.